A 27-year-old worker died Friday in an accident at a Greenbrier County coal mine, owned by a subsidiary of Virginia-based Alpha Natural Resources (NYSE: ANR), reports Associated Press. The employee was caught between a scoop and a continuous mining machine at the Pocahontas Mine near Rupert, at 1:30 am local time. In June Alpha said it had reduced its accident rate by a third and its injury rate by 25% at West Virginia's Upper Big Branch mine and other operations formerly own by Massey Energy Co. The 2010 explosion at the Upper Big Branch Mine, considered the worst accident at a U.S. coal mine in four decades, pushed authorities to issue a new set of rules for inspecting underground coal mines in April this year. 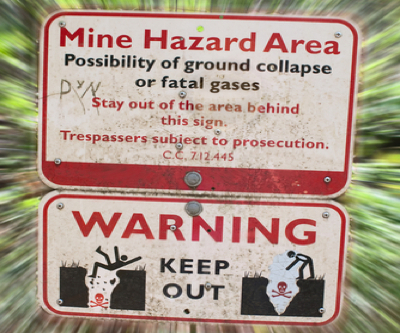 The new guidelines require underground coal mine operators to examine more thoroughly and correct hazardous conditions that pose the a threat to miners. U.S. Department of Labour officials concluded in 2011, that the explosion could and should have been prevented by the operator, Massey Energy. They said that evidence did not support Massey's claims that the explosion was caused by a sudden, unforeseen inflow of gas. A crack in the floor, which Massey had identified as the likely source of the gas, was found to be 'rootless', which means it was not connected to an area containing combustible gas. Today’s death is West Virginia's sixth mining fatality this year.